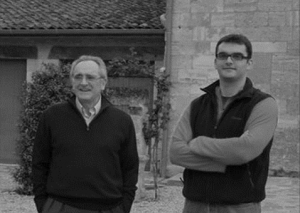 Château Samion is the family domaine of Jean‐Claude Berrouet, the man who oversaw more than 40 vintages at the famed Château Petrus in Pomerol from 1964until his retirement in 2007. Together with his son Jean‐Françis, they produce a small amount of wine from their holdings in Lalande‐de‐Pomerol which total a scant1.2 hectares. 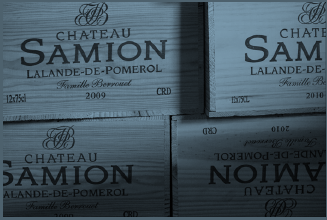 The first vintage for Château Samion was in 1979 when they rented the vineyards, but since 1985 they have been owned by the Berrouet family and the vines are now an average of 45 years in age. Lalande‐de‐Pomerol is just north of the famous appellation of Pomerol which is home to the great estates of Petrus, Le Pin, and Trotanoy among others. Separatedfrom Pomerol by the small Barbanne river, the appellation of Lalande‐de‐Pomerol consists of 2 communes, Néc and Lalande‐de‐Pomerol proper. In Lalande, the subsoils are principally gravel while in Néc, the vineyards are planted on a slightly elevated plateau on soils composed of gravel and sand. The vineyards of Château Samion are located in Lalande where the Merlot offers supple, deep red‐fruited wines that have fine tannins. “I try to work as naturally as possible”, Jean‐Claude says when asked about his practices in the vineyard. “It’s healthy for wine and for life”, he says. At Château Samion, there are no chemical fertilizers, pesticides, or herbicides used. Treatments to avoid rot or mildew are all that is ever employed and only when necessary. There is but one wine made at Château Samion. The wine is made from 100% Merlot, and one will find it is made in the same manner and with the same exacting care as Château Petrus. The grapes are harvested by hand, and then vinified in concrete vats. Following the vinification, the wine is racked and aged for 20 months in 15% new French oak casks (225 liters).